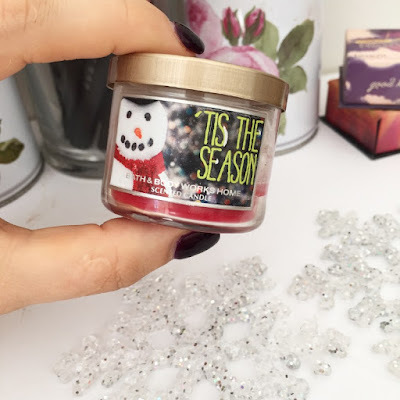 Candles That Smell Like Heavenly Angel Babies - 12 Days Of Blogmas! Hey, friends! I, like most people I know, am a candle fiend. I'm a sucker for a jar of delicious-smelling wax and, consequently, feel a compulsion to share my all-time favourites with you all. In a pleasant coincidence, this also doubles as a mini gift guide for all of those people in your life who have a nose. Shall we? Since it's currently the festive season - otherwise known as December, if you don't celebrate a holiday during this time frame - my first pick had to be Christmas themed. Cranberry Crush, made by local Perth gal Essence of Jasmine, was gifted to me at the Bloggers United event I attended in August; I tried desperately to ration it until the end of the year but ended up burning most of it due to the fact that I'm weak. In fact, I'm burning it as I type this. I need Cranberry Crush Anonymous. Since I'm rubbish at describing scents, I will insert the website's description of this bad boy: "sweet & tart with combined notes of raspberry, musk, jasmine, vanilla & cinnamon mixed with tones of cranberry, lime, orange & delicious grapefruit". Does that not sound like the greatest thing you'll ever smell in your life? Next up is a scent that I am currently running terrifyingly low on: Tis The Season by Bath & Body Works. Can you half tell I enjoy cranberry/Chrissy scents? 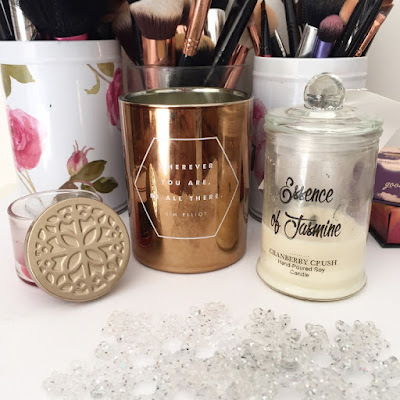 I received this tiny, tiny candle as a gift two years ago, promptly fell in love with it, and have been rationing it ever since - if only B&BW was easily accessible in Australia. First World Sigh. This is described as "red apples, green pine and golden cider" and I like all of those words. On a non-festive note - intentional pun - the Inspiration candle from Kikki K has been a favourite of mine since my dear best friend included it in my birthday package this year. 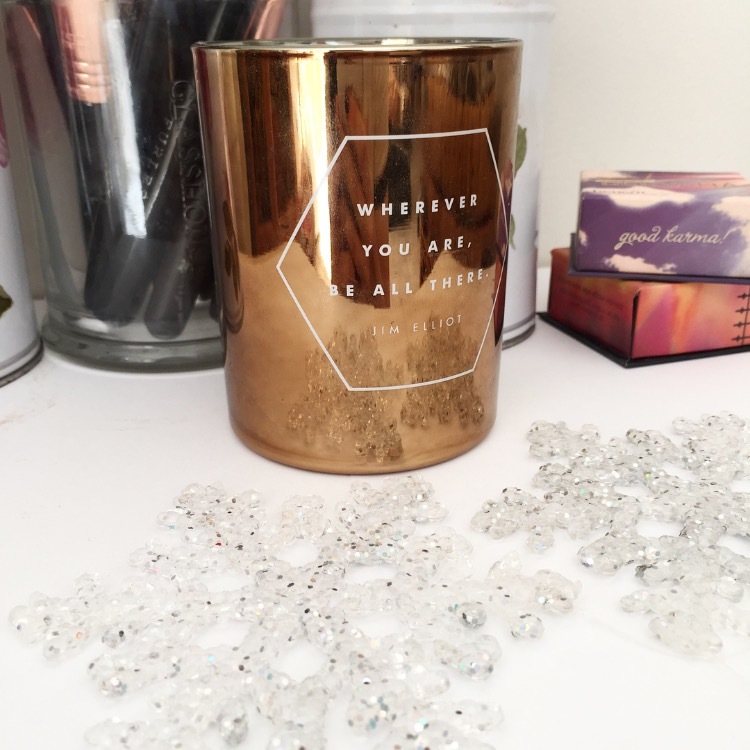 I was completely unaware that Kikki K even made candles, but I promptly need to stick my nose in their other scents because this one is divine. Plus, it boasts an adorable quote on it's minimalist packaging, which is always a bonus. This particular "Midsommer" scent is described as "a combination of earl grey, orange and green tea", which is as lovely as it is peculiar upon first read. 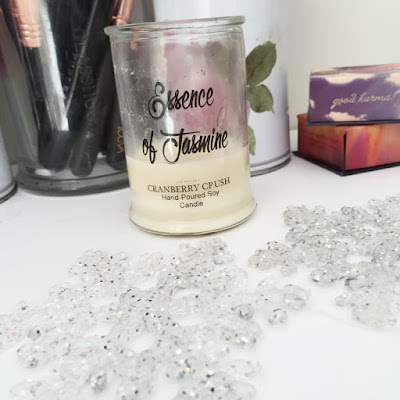 Please enable my candle addiction by commenting with your favourite scents! ugh I'm a sucker for anything vanilla or peppermint scented. it's becoming a problem for me.